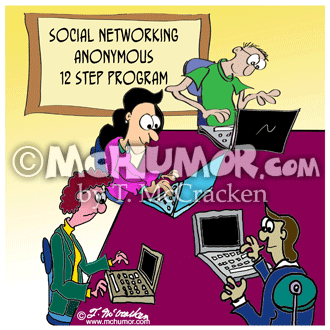 Networking Cartoon 8896: At a “Social Networking Anonymous 12 Step Program” meeting a group of people sit in a circle typing on their laptops. 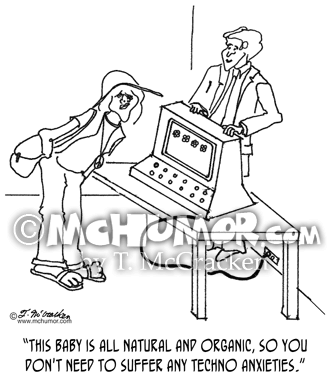 Computer Cartoon 0694: A computer salesman says to a hippy type, "This baby is all natural and organic, so you don't need to suffer any techno anxieties." 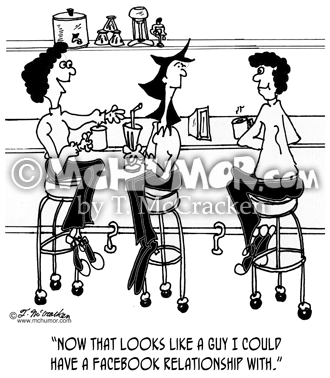 Relationship Cartoon 8133: A girl in a diner looking at a boy at the counter says, "Now that looks like a guy I could have a Facebook relationship with."